That's why we're adding our voices to call for urgent action to protect climate, oceans and biodiversity. 2020 can be the turning point but we need everyone to act, including you! 1️⃣ Add your voice for the planet and commit to take action locally. Ask your colleagues, family and friends to do the same. 2️⃣Host a watch party for the new Netflix series 'Our Planet' on Friday 5 April 2019 to raise awareness for climate action. Here are some helpful tips to get you started. Sir David Attenborough received a Crystal Award for his leadership, spoke with H.R.H The Duke of Cambridge and gave a powerful speech calling for action on climate change at the World Economic Forum Annual Meeting 2019. Climate change was at the top of the Davos agenda. Former Vice-President of the United States, Al Gore, and New Zealand Prime Minister and Young Global Leader, Jacinda Ardern, inspired participants on the panel 'Safeguarding Our Planet'. During the discussion, David Attenborough's Netflix special 'Our Planet' debuted. The eight-part original documentary series will be released globally on Netflix on Friday 5 April 2019. Watch the trailer. 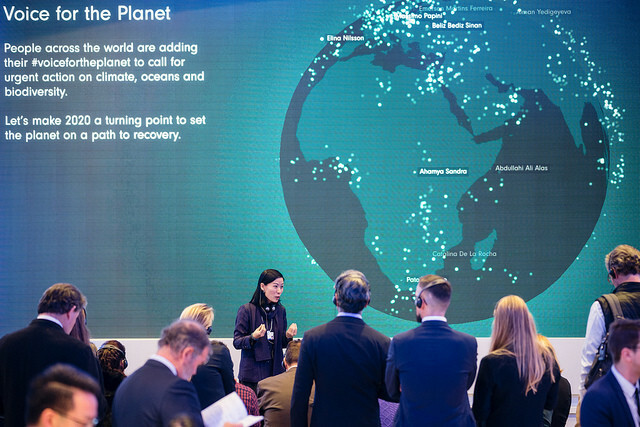 Akira Sakano from Osaka Hub and CEO of Zero Waste Academy also launched Voice for the Planet during the session - a Shapers initiative implemented in partnership with 21 climate-related organizations.